Prime contains Metformin in sustained release form. Metformin belongs to the class of drugs known as Biguanides. Available in two strengths 500mg and 1000 mg in sustained release form. Indicated in the management of newly diagnosed Type 2 diabetes mellitus. 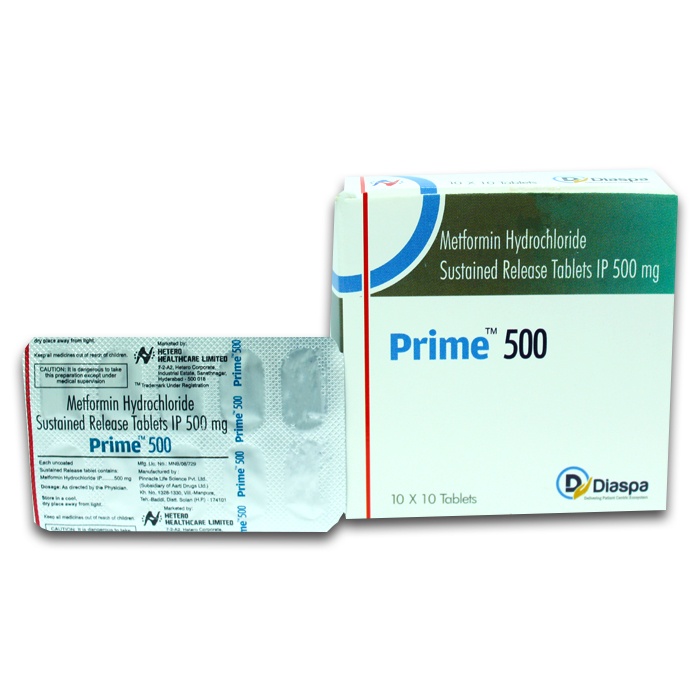 Prime 500 mg Tablet SR is used in the treatment of type 2 diabetes. It is used in addition to diet and exercise to improve blood sugar control in adults with type 2 diabetes.